It’s time to celebrate! We hard work, dedication and passion have been recognized by guests, and their reviews have earned you a 2018 Guest Review Award. Santhiya Koh Phangan Resort and Spa is one of the most outstanding accommodations from around the world. The Certificate of Excellence is a real source of pride for hospitality professionals because it’s all determined by traveler reviews and ratings on TripAdvisor. 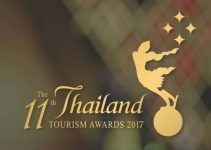 The Awards known in Thai as Kinnaree Awards – is the most prestigious Tourism Awards, organized every two years by Tourism Authority of Thailand. Santhiya Koh Phangan Resort & Spa Koh Phangan has been awarded in August 2017 for the prize of Outstanding Performance for Pool Villa Hotel. The awards selection criteria focused on the issue of environmental management, corporate social responsibility as well as the excellent standard of services. 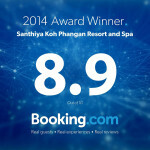 The very good review is the best guarantee that Santhiya Koh Phangan Resort & Spa serve world-class service. Officially congratulations 2016 Customer Review Award by Agoda winner again. For our hard working and great working to be top Agoda Partner, only 1% of partner will get this awards and we are the one. It’s time to celebrate! We hard work, dedication and passion have been recognized by guests, and their reviews have earned you a 2016 Guest Review Award. Santhiya Koh Phangan Resort and Spa is one of most outstanding accommodations from around the world. The Certificate of Excellence is a real source of pride for hospitality professionals because it’s all determined by traveler reviews and ratings on TripAdvisor. Outstanding positive review 4.7 out of 5. This show we provide world class service and good experience to the guest. 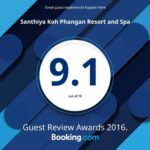 Very good review from reviewers around the world is the best guarantee that Santhiya Koh Phangan Resort & Spa serve world class service. Outstanding positive review 4.8 out of 5. This show we provide world class service and good experience to the guest. 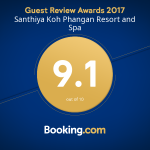 Santhiya Koh Phangan is recognized very best hotels available in Expedia’s global marketplace, as judged by the experiences of Expedia’s customers, and is awarded by Expedia on an annual basis. 3 years continuously winner on Tripadvisor certificate of excellence is obvious indicator that our service could make your perfect stay come true. 2 years continuously winner, Santhiya Koh Phangan Resort and Spa is one of most outstanding accommodations from around the world. The Certificate of Excellence is a real source of pride for hospitality professionals because it’s all determined by traveler reviews and ratings on TripAdvisor. 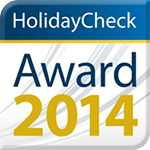 Winner Holiday Check Award 2014 in Spa and wellness categories. Worldwide hotel review website that travelers all around the world come to visit and find database of over 300,000 hotels. 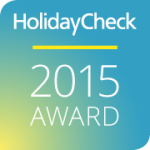 Santhiya Koh Phangan also be the winner of Holiday Check Award 2014 in Spa and Wellness categories. Thank you all traveller for the wonderful review. Santhiya Koh Phangan Resort and Spa is hornored by selected to be one of the most outstanding Green Hoten in Thailand. Asean Green Hotel Award given by Department of tourism to environmental friendly and sustainable development hotel among Asean countries. Outstanding on romantic resort realize by million comment on Trip Advisor from traveler all around the world. Venere Top Overall Ratings 2013. This award is exclusively determined by Venere users’ feedback and only 5000 properties out of 135.000 across the world. An awards based on the hotel where travelers like the most in 2013. 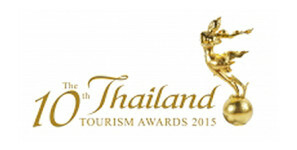 The Awards known in Thai as Kinnaree Awards – is the most prestigious Tourism Awards, organized every two years by Tourism Authority of Thailand. Santhiya Koh Phangan Resort & Spa Koh Phangan has been awarded in August 2013 for the most prestigious “ Award of excellent”. 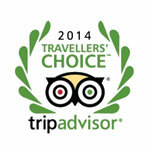 Only 26 award of excellent were given out in 2013, and only 4 were given out in the category of Tourist Accommodation. The awards selection criteria focused on the issue of environment management, corporate social responsibility as well as excellent standard of services. 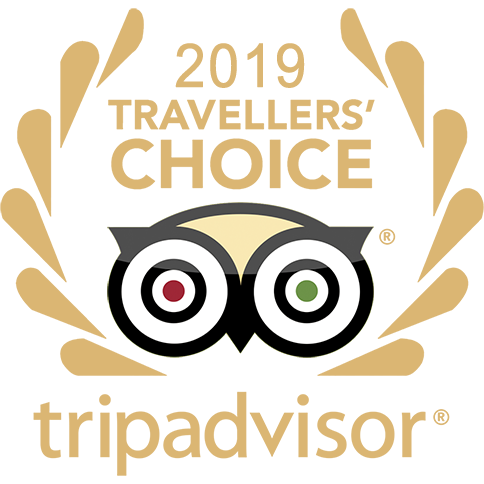 Tripadvisor.com is the most comprehensive and most prestigious website in global travel industry nowadays. Santhiya Koh Phangan Resort & Spa is the only resort on Koh Phangan island in Thailand, that carries the Relaxation & Spa category. Certificate of Excellence 2012 Awards honor the world’s property hotel with the highest praise based on the millions of the real and unbiased travelers’s commend on Tripadvisor.com and content from across the web. 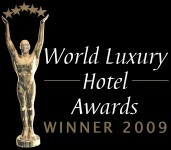 Winner of The World Luxury Hotel Awards in 2012. Santhiya Koh Phangan Resort & Spa succeeded another level by being awarded the continent winner of the best Scenic Environment held annually, The World Luxury Hotel Awards is an exclusive tribute given to the exceptional and luxury hotels worldwide, The award is accepted as the pinnacle of achievement for Luxury Hotels across the globe. The Ministry of Tourism and Sports, under the Office of Tourism Department of Thailand has certified Santhiya Koh Phangan Resort & Spa has been assessed and found to be conforming to the requirements of 5 Stars Resort Standard from 2011 – 2013. Once again Santhiya Koh Phangan Resort & Spa has received the recognized Awards for three consecutive years as the “Best Luxury Spa Resort Hotel” from World Luxury Hotel Awards 2011. Held annually, the World Luxury Hotel Awards is an exclusive tribute given to the exceptional and luxury hotels worldwide. The award is accepted as the pinnacle of achievement for Luxury Hotels across the globe. The Travelers’ Choice 2010 Winner Awards are the most comprehensive and most prestigious awards program in global travel industry today. Santhiya Koh Phangan Resort & Spa is to-date the only resort on the island of Koh Phangan, in Thailand, that carries the Relaxation & Spa category. TripAdvisor Travelers’ Choice awards honor the world’s best hotels, earning their distinction from those who know them best – real travelers that based on the millions of real and unbiased reviews and opinions about hotels on tripadvisor.com and content from across the web. Expedia.com®, the world’s leading online travel agency, today unveiled Expedia 2010 Insiders’ Select® results, an annual ranking of the world’s best hotels for quality and value as determined mostly by traveler reviews. Hotels that routinely exceed customer expectations – in their customer service, amenities, competitive pricing and more – see that emphasis reflected in their rankings. 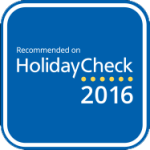 And this year, for the first time, Insiders’ Select hotels are searchable during the booking process on Expedia.com, making it simple for travelers to maximize the value of their travel dollars.The 2010 Insiders’ Select list reflects a remarkable cross-section of properties in different regions, representing various accommodation types and star rating categories. The feature that each Insiders’ Select property has in common is a surpassing commitment to value. For Santhiya Koh Phangan Resort & Spa, inclusion on the Insiders’ Select list is not only a distinction to be proud of, but is correlated with higher room bookings on Expedia versus properties that are not on the list. The HotelClub is a world leading global accommodation website offering hotel and accommodation bookings with over 69,000 accommodation choices in over 7,300 cities worldwide. Since 2006, the website has been running the HotelClub Hotel Awards to honor the most outstanding properties in different categories around the world. In 2010, Santhiya Koh Phangan Resort & Spa has been awarded the winner in the category of Outstanding Beach Resort, providing first-rate accommodation and excellent service.  The Awards known in Thai as Kinnaree Awards – is the most prestigious Tourism Awards, organized every two years by Tourism Authority of Thailand. Santhiya Koh Phangan Resort & Spa Koh Phangan has been awarded in August 2010 for the prize of Outstanding Performance for Pool Villa Hotel.The awards selection criteria focused on the issue of environment management, corporate social responsibility as well as excellent standard of services. Winner of the World Luxury Hotel Awards for two years in-a-row, in 2010 Santhiya Koh Phangan Resort & Spa has succeeded another level by being awarded the global winner for Luxury Romantic Hotel. Held annually, the World Luxury Hotel Awards is an exclusive tribute given to the exceptional and luxury hotels worldwide. The award is accepted as the pinnacle of achievement for Luxury Hotels across the globe. TemptingPlaces.com is an exclusive collection of exceptional, unique, authentic and luxurious boutique hotels. We cater for the needs and requirements of individual boutique hotels such as Santhiya Koh Phangan Resort & Spa, that offer an “out of the ordinary experience in honeymoon category” to our customers.TemptingPlaces team travels throughout the five continents devoting all of its energy to choosing only the finest boutique hotels that meet our strict selection criteria. As a high-end service provider of luxury travel worldwide, Quintessentially Travel advises and helps clients to create tailor-made itineraries for the globes’ most glamorous, sought after and remote destinations. Quintessentially Travel highly recommends Santhiya Koh Phangan Resort & Spa for both accommodation and service. 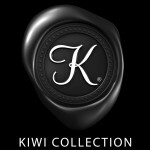 Kiwi Collection is one of the world’s largest and most comprehensive collections of luxury hospitality properties, seeking and discovering the very best accommodation for sophisticated travelers and travel agents. At Kiwi Collection, they have identified that Santhiya Koh Phangan Resort & Spa is among the worlds’ finest and should be among the limited selection featured in their publications. Santhiya Koh Phangan Resort & Spa has been awarded the overall winner of Luxury Spa Hotel category of the 2009 World Luxury Hotel Awards. Held annually, the World Luxury Hotel Awards is an exclusive tribute given to the exceptional and luxury hotels worldwide. The objective of the awards is to recognize the top luxury hotels and resorts on the global front that set themselves for their world class facilities and service excellence.